The new DT85G Geotechnical Data Logger Series 4 version has increased sampling speed, measurement range and programmable analog output. 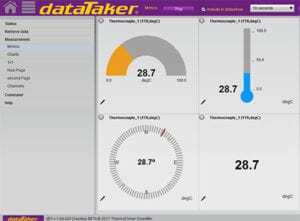 Advanced design and technology plus 25 years of geotechnical expertise have produced the dataTaker DT85G GeoLogger – A versatile, powerful – yet low power & cost-effective data logger. With temperature compensation (thermistor), 16 analog channels are capable to read up to 16 vibrating wire sensors. If temperature compensation is not required this logger can read up to 48 vibrating wire sensors. Further expansion up to 320 sensors (with temperature compensation) or 960 sensors(without temperature compensation) is possible. Communications features include RS232, USB, and Ethernet, connect to the DT85G locally, remotely through a modem or over the Internet. The web interface allows users to configure the DT85G, access logged data and see current measurements as mimics or in a list using a web browser. 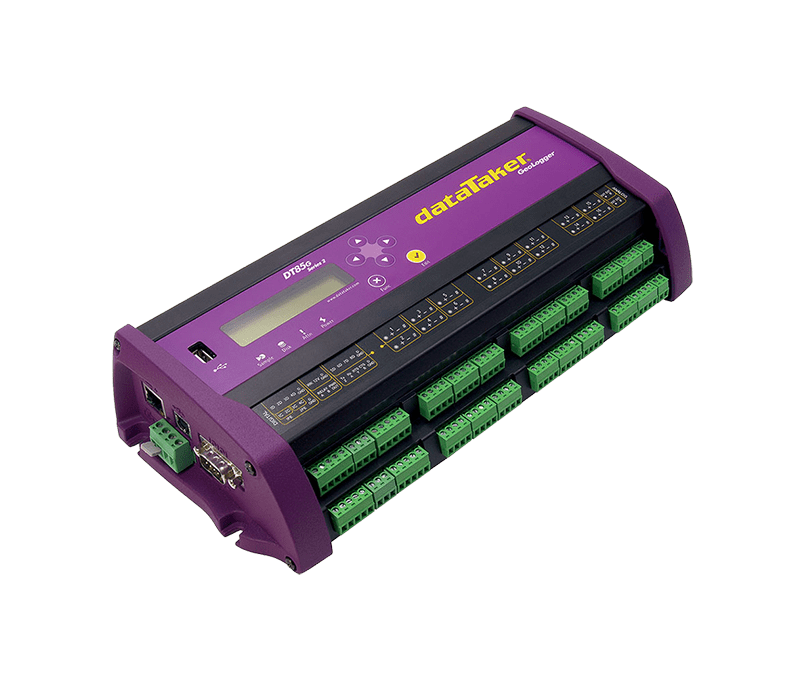 The advanced dataTaker DT80G range Geologgers work with a host of sensors including Extensometers, Piezometers, Inclinometers, Strain gauges, Pressure cells, Crack meters, Tiltmeters and also support Carlson, Electrolevel, and LVDT devices. They are expandable up to 300 channels and are compatible with all major brands of geotechnical sensors including Geokon, Slope Indicator, RST Instruments, Soil Instruments Roctest, and AGI – Applied Geomechanics Inc. Fundamental Input Ranges The fundamental inputs that the DT85 can measure are voltage, current, resistance and frequency. All other measurements are derived from these. Generic Serial Sensor Flexible options to allow data to be logged from a wide range of smart sensors and data streams.